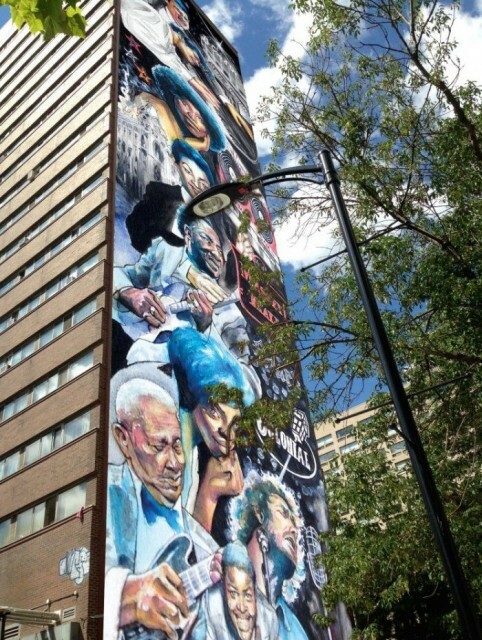 Blog Post: Toronto's Music Mural - Gordon Lightfoot Book, Music and More! As a music journalist and historian, obviously I believe that music heritage is important. It’s important because that history reminds us how much music has influenced us. Recordings, the artists who made them and the clubs those musicians played in serve as the touchstones of our lives and the cultural life of our city. And they become increasingly important to remember as the buildings where that history took place disappear. Toronto’s Yonge Street in the Fifties and Sixties was absolutely buzzing with music. It was pretty eye-catching too, with colorful neon signs as far as the eye could see. 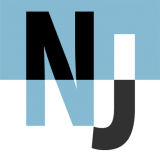 The music spanned every conceivable genre, including jazz at the Town, blues at the Colonial, rock at the Friars, rockabilly at Le Coq D’Or, country at the Edison, folk at Steele’s, reggae and calypso at Club Trinidad and r&b at the Bluenote. There’d even be classical music across the street here at the Eaton Auditorium. Big concerts of all kinds took place at Massey Hall and Maple Leaf Gardens. I was too young to see Ronnie in those days, but I did see him at the Nickelodeon the night that Bob Dylan and the Band came to pay their respects. Nor did I see Gordon Lightfoot at Steele’s, although I’ve seen him many times at Massey Hall since. And I wasn’t able to venture into the Bluenote or any of the other Yonge Street hotspots, to catch Shirley Matthews, Jackie Shane, Dianne Brooks, David Clayton-Thomas or so many of the other legends. But that doesn’t matter because I’ve learned their stories and know how important their music is. And I believe it’s something others would benefit from discovering. That’s why heritage plaques and walking tours and wall murals like this have value. It’s history worth preserving. As an aside, I have it on good authority that the Sam the Record Man spinning discs are finally going to be installed next spring in Dundas Square. I also want to add that music heritage is good for tourism. Just look at the popularity of, say, Jim Morrison’s grave in Paris or the Chess Recording Studio in Chicago, home of the Bo Diddley beat. As Feargal Sharkey, the former Undertones singer and head of UK Music, has said: “What other industry apart from music has the power to transform an utterly mundane pedestrian crossing in north London into an international tourist spot.” Sharkey was referring, of course, to the crosswalk immortalized on the cover of The Beatles’ Abbey Road. There’s no question that Toronto is a music city. It is and always has been. That’s something worth celebrating. And this wonderful mural by Adrian Hayles, commissioned by Mark Garner and the Downtown Yonge BIA, does just that.